Cryptocurrency, Litecoin (LTC)–As the crypto markets struggle to retain the price gains which characterized the start of 2019, Litecoin has seen a small boost in popularity thanks to the efforts of a MMA promotion and its fighters. While most investors could think of more apparent avenues for crypto advertisement, it appears the Litecoin Foundation has found a home in promoting LTC through the Ultimate Fighting Championship (UFC). In December, the coin’s logo was featured prominently in the octagon of the mixed martial arts organization, during their UFC 233 pay per view event which peaked at 2+ million in viewership. On Jan. 14 former Olympic Wrestler Ben Askren, who is scheduled to make his Ultimate Fighting Championship debut in a Welterweight match against Robbie Lawler for UFC 235, took to Twitter to promote both his upcoming match and its official cryptocurrency partner: Litecoin. Askren went on to tag Charlie Lee, Litecoin’s founder, and John Kim, a prominent figure in the Litecoin Community, as well as the tags #ltcwestcoast #ltceastcoast. While coins have had supporters in the past, Askren’s claims put him not only in line with the sponsorship for LTC, but with the coin’s community as well. Litecoin, like most cryptocurrencies, has had little to grow excited over since hitting its all time high during the bull run of December 2017. However, through the marketing efforts of founder Charlie Lee–who has made himself independent of LTC price movements by selling his entire holding–and the Litecoin Foundation, LTC has been proactive in securing rather high-profile engagements. 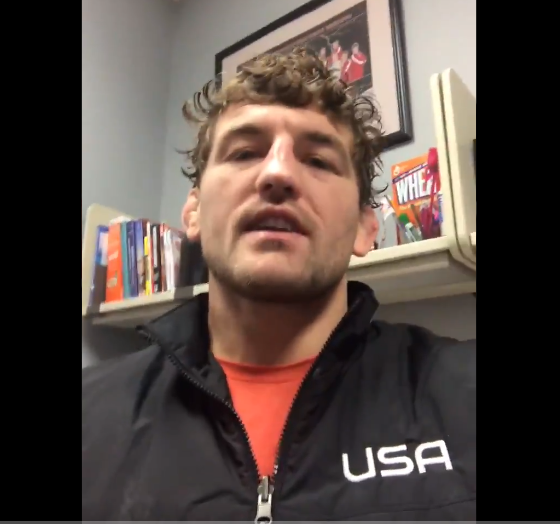 In addition to being featured prominently in the octagon during last month’s pay per view event, the support for Ben Askren could propel the coin to an even broader audience when UFC 235 kicks off on March 2nd, proving that individual currencies, and their community bases, can do much by way of grass-roots promotion.